I've been jonesin' for a new camera as long ago as early 2009 when I bought my current one. I almost upgraded then to a DSLR, but decided the little Canon PowerShot SX110 IS met my needs better at that time. I wanted something small and lightweight that I could stick in a pocket or my purse when I traveled. It took fine photos; I can only say good things about it. But still I yearned for an upgrade. I loved my old Canon 35mm film camera with interchangeable lenses. I wanted something comparable, so I could kick my photography up a notch. After looking at prices for entry level DSLR's, though, I'd pretty much decided it wasn't worth spending that much money on a hobby. Two things changed my mind. The first was that within the past two weeks, I've been asked by two different people if they could use my photos for publication. Hmmm...maybe this is more than just a hobby? And then Monday afternoon as I was photographing those beautiful snowdrops, I suddenly got a 'lens error' message on my LED screen. Ever since then my PowerShot makes a clicking noise every time I turn it on or off. Very ominous. 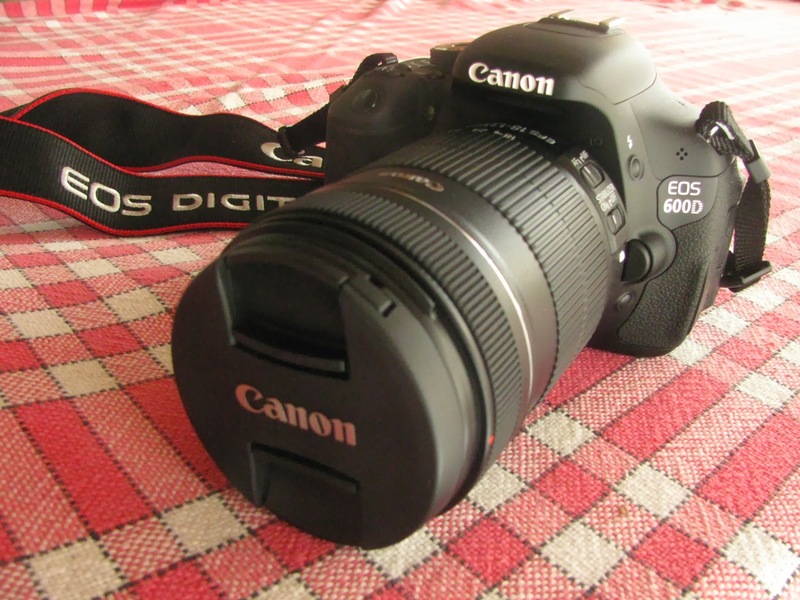 I decided that was a definite sign, came home and ordered what I think will be my 'forever' camera...this gorgeous Canon EOS 600D with an 18-135mm lens. I am beyond thrilled with it. Haven't take a photo yet, but just holding it in my hand feels great! Only negative is...none of the four instruction books that came with it are in English! Time to get out the French dictionary.